You can test that your installation is successful by opening an existing example application project. On the Welcome page, select Choose an example... > Animation Framework > Animated Tiles. Select targets for the project. 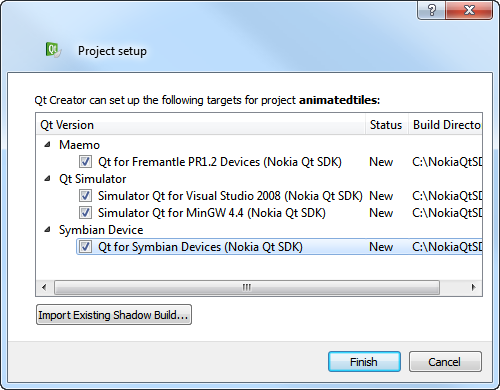 Select at least Qt Simulator and one of the mobile targets, Maemo or Symbian Device, depending on the device you develop for. Note: You can add targets later in the Projects mode. 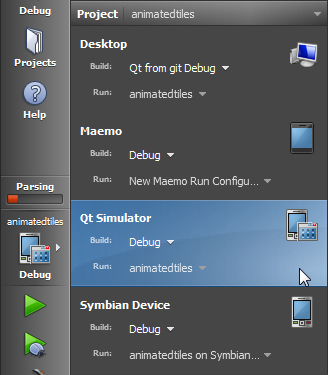 To test the application in Qt Simulator, click the Target Selector and select Qt Simulator. 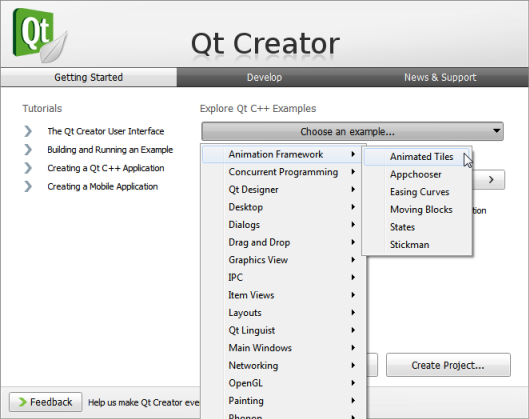 Click to build the application and run it in Qt Simulator. To see the compilation progress, press Alt+4 to open the Compile Output pane. The Build progress bar on the toolbar turns green when the project is successfully built. The application opens in Qt Simulator. Change the settings in the View pane, for example, to toggle the orientation by clicking Rotate Device, or choose from the various Symbian and Maemo configurations by clicking Device. 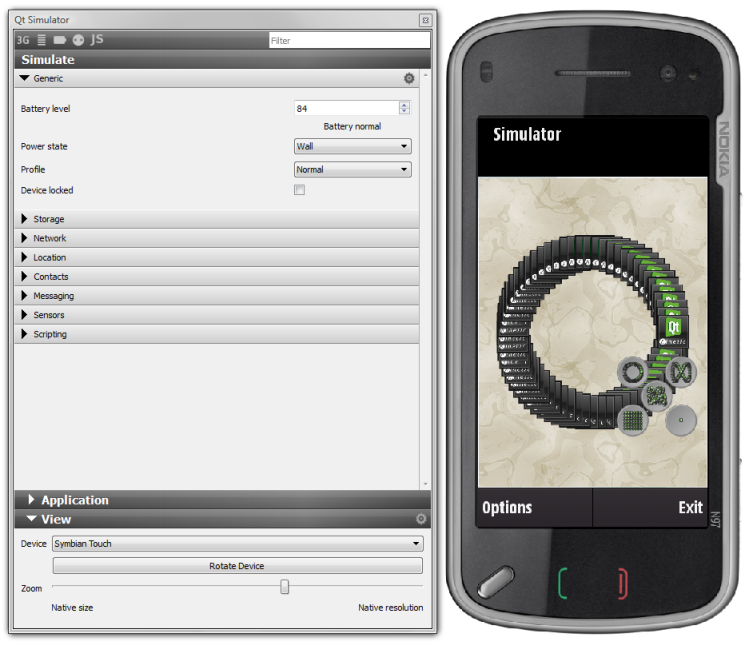 You can also simulate various mobile functions and create your own scripts. To test the application on a Symbian device install Qt 4.6.2 and the TRK debugging application on the device. For more information, see Setting Up Development Environment for Symbian. Click the Target Selector and select Symbian Device. Click Run to build the application for the Symbian device.